RIO DE JANEIRO — The IAAF suspended the Kenyan track team's manager on Friday and one of the country's runners was being investigated by the IOC after both became involved in doping scandals at the Olympics. Michael Rotich, the track team manager who had already been sent home from Rio de Janeiro, was suspended from holding any athletics position for 180 days, the IAAF's ethics board said. He has been accused of seeking a 10,000-pound ($13,000) bribe from undercover reporters to help athletes beat doping tests in Kenya. The reporters, who posed as coaches, secretly filmed Rotich earlier this year and alleged he promised to give them and any athletes they brought to train in Kenya advance notice of doping tests there. There was "a case warranting investigation" against Rotich, the IAAF ethics board said, "in relation to potential subversion of the anti-doping control process in Kenya." 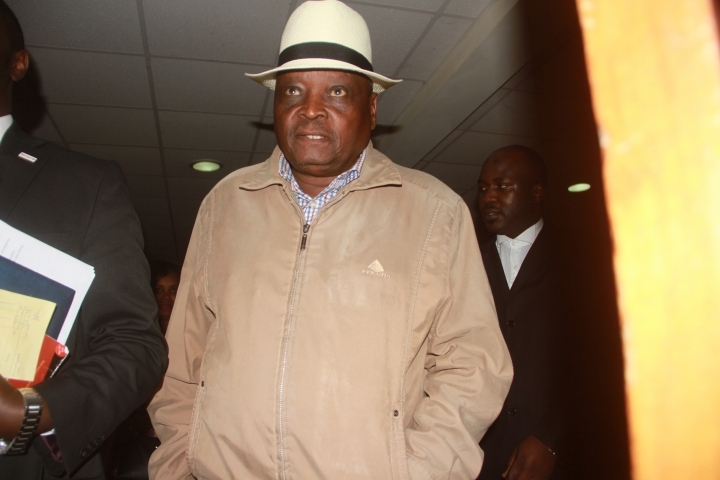 The allegations were published when Rotich was with Kenya's team at the Olympics. Rotich, who is a retired army major, is the head of a regional athletics federation in western Kenya. He was arrested when he returned to Kenya from Rio de Janeiro and is also facing criminal charges. Rotich is the fifth official at the Kenyan athletics federation to be put under investigation by the IAAF for allegedly covering up doping. The Athletics Kenya president, vice president, chief executive and another senior official have all been suspended and are being investigated. 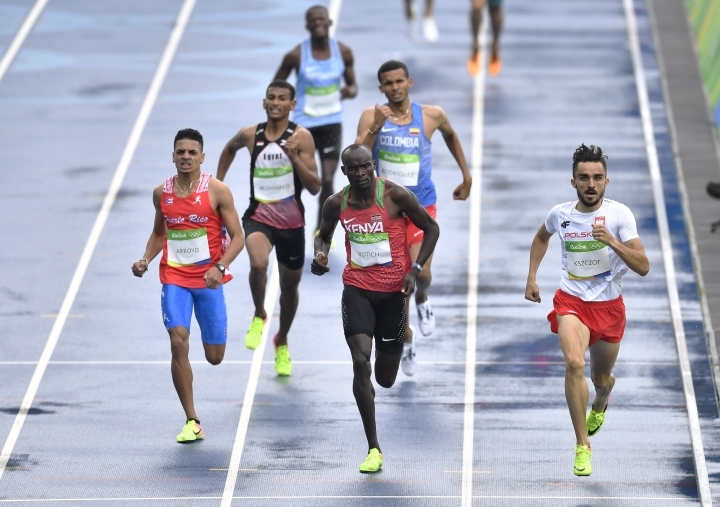 Also Friday, a Kenyan 800-meter runner caught up in a separate doping scandal at the Olympics told The Associated Press he has "explained everything" after a coach was in possession of his accreditation and allegedly posed as the athlete at a doping test. Ferguson Rotich, who is no relation to Michael Rotich, ran in the 800 heats on the first day of track and field at the Olympics, qualified for the semifinals, and then rushed through the media interview zone shaking his head and declining to answer questions over the doping test issue. He finally told the AP "I have explained everything" before leaving without further comment. The coach involved was also sent home from the Olympics, while the International Olympic Committee opened a disciplinary investigation over the incident at the athletes' village. "This isn't over," IOC spokesman Mark Adams said Friday. "We will take action if necessary against both." But Adams also said he wanted to clarify some aspects of the incident. He said the coach, John Anzrah, had not given a doping sample while posing as the athlete, contradicting Kenyan officials who said Anzrah did go as far as give a doping sample and sign forms in the name of Ferguson Rotich. Instead, Anzrah was using Ferguson Rotich's accreditation to get in to the athletes dining area for breakfast, Adams said. Doping control officers came looking for the athlete on Wednesday and found a man with his accreditation and asked him to come to doping control. He was asked to show his passport, and officials saw it was different from the accreditation. "It was clear he didn't take a doping test by the athlete or for the athlete," Adams said. Adams also said Ferguson Rotich was "properly tested." Rotich finished second in his 800 heat on Friday and will run in the semis on Saturday. AP Sports Writer Stephen Wilson contributed to this report.